​​Arsenal midfielder Matteo Guendouzi has opened up about Arsenal's impressive start to the Premier League season, insisting the togetherness of the squad has been key to their recent unbeaten run. The 19-year-old midfielder only signed from Ligue 2 club Lorient for £7m during the summer, but has already put in some eye-catching performances during the Gunners 16-game unbeaten run - ever since earning his debut on the first day of the Premier League season against Manchester City. "I’m very happy about my start," the Frenchman told Foot Mercato (via Sport Witness). "After that, the most important for me is the team, we’re on a good run of 15 or 16 games without a loss, which is something we need to continue on. "We’ve drawn the last three games in the league, but we’re a very solid team, and I hope we can do great things. There’s a really good togetherness in the group, and that’s why we’ve made a good start to the season. 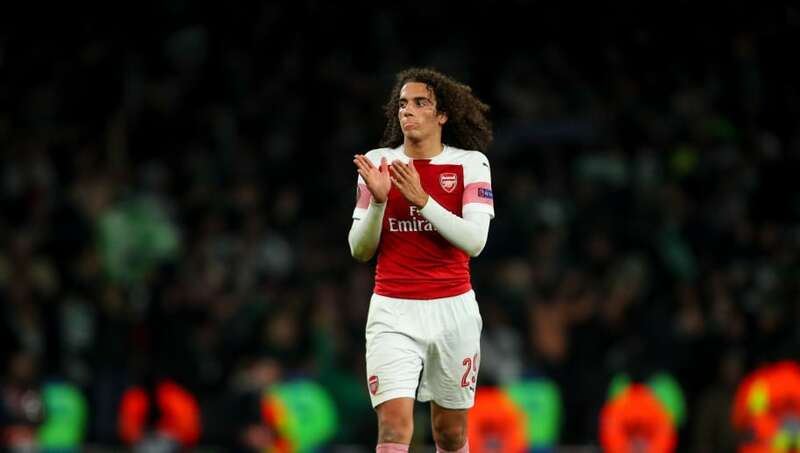 Guendouzi has featured 15 times for the Gunners already this season, after impressing Unai Emery during pre-season, and his good domestic form led to the midfielder making his France under-21 debut during the international break, as they drew 2-2 with Croatia. Très honoré d’avoir porté le maillot de l’équipe de France Espoirs pour la première fois. Guendouzi and his Arsenal team-mates return to action in the Premier League on Sunday when they travel to the Vitality Stadium to face Bournemouth. Unai Emery's team will aim to get back to winning ways after three consecutive Premier League draws, which currently leaves them in 5th place in the Premier League table.